A Set of 16 - 502. 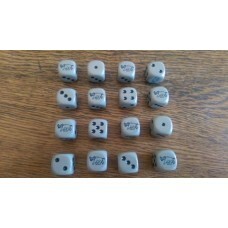 Schwere Panzer Abteilung Dice (16mm). 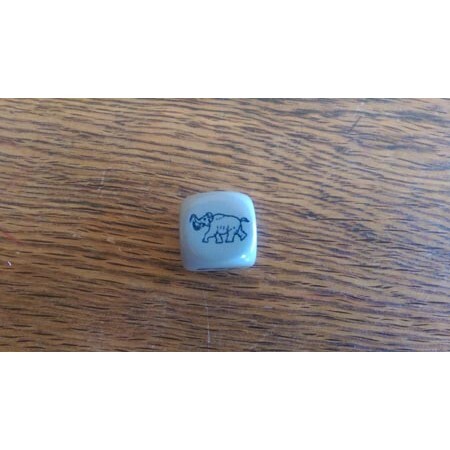 These custom designed dice have a black Elephant Logo ENGRAVED where the 6 would be. 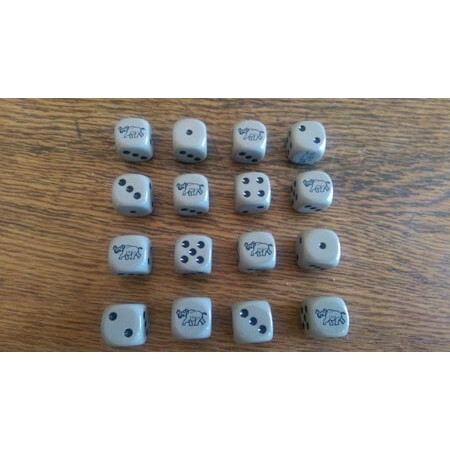 These dice can be used to represent Tiger or Jagdtiger Companies.